This unique project presented many challenges, and consequently many opportunities, to the design team while addressing the conversion of a redundant brew house building into a visitor centre. The design brief was to transform the original storehouse and fermentation building into a leading world class visitor centre, which would illustrate the traditional brewing process within a dramatic venue suitable for corporate and cultural events. The successful outcome has restored a historic environment, and it has given new life to the building while securing an important part of Ireland's Industrial Heritage. The manner in which some of the original brew house piping and equipment have been seamlessly retained, alongside new utility installations which share the same space, under the direct visual scrutiny of visitors. The innovative utilisation of the building mass to attenuate fluctuations in internal heating and cooling loads. 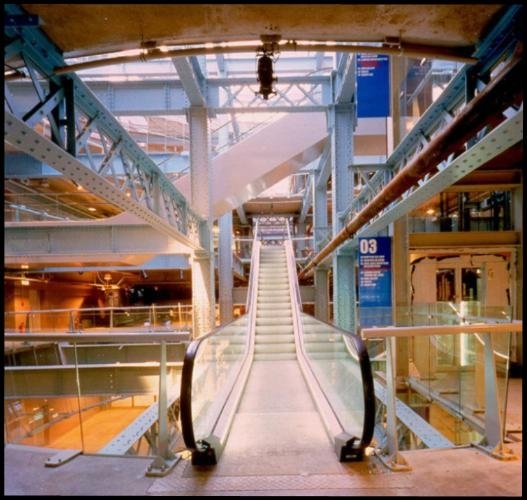 The exploitation of the grand central Atrium to effect widespread natural ventilation of the building to minimise dependency upon mechanical services and attendant running costs. The utilisation of existing available heating and cooling capacity from the brewery waste steam distribution system and the glycol process cooling distribution, to eliminate the need for additional heating boilers or chillers. The sophisticated control of lighting in the building, to create different moods and ambiences throughout.